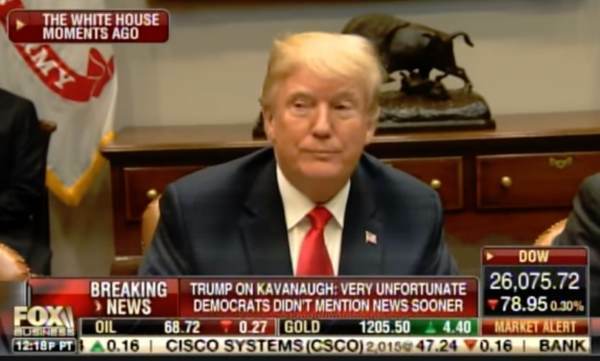 President Donald Trump responded on Monday to the media uproar over unfounded 36-year-old allegations against Judge Brett Kavanaugh by a far left California activist. Trump questioned why Senator Feinstein kept the accusations private until late last week? And then President Trump slapped down a liberal reporter who asked if Judge Kavanaugh would withdraw his nomination. President Trump: I have not spoken to Judge Kavanaugh. Reporter: Has he offered to withdraw from the process? Has he offered to withdraw? President Trump: Next question. What a ridiculous question! Nobody demeans the liberal press like President Donald Trump!